by Robert van Engelen and Wei Zhang, July 9, 2018. The number of service messages and the number of schema components are listed in the rightmost columns of the table. The number of components are the schema top-level root elements, attributes and simple/complex types. Local components are not counted. We omitted remotediscovery.wsdl from our results because this WSDL is a wrapper for WS-Discovery. The WS-Discovery schema is integrated in the gSOAP library. Therefore, slicing this WSDL does not remove any WS-Discovery schema components. The results of slicing with wsdl2h option -O3 are omitted from the results reported in this section because the results obtained with this option were the same as the results obtained for option -O2. 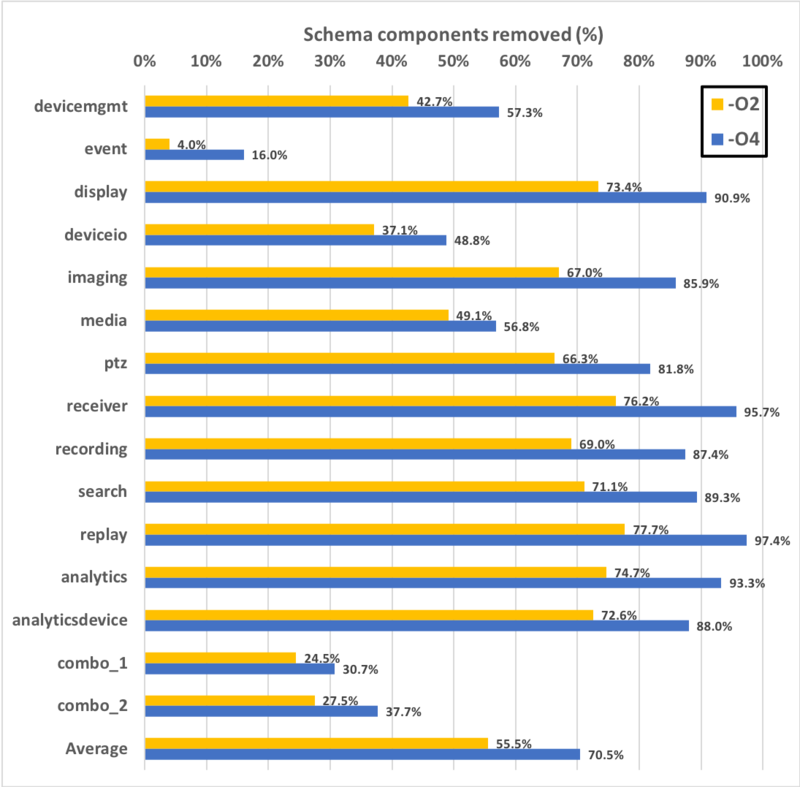 The number of service messages and the number of schema components are listed in the rightmost columns of the table. 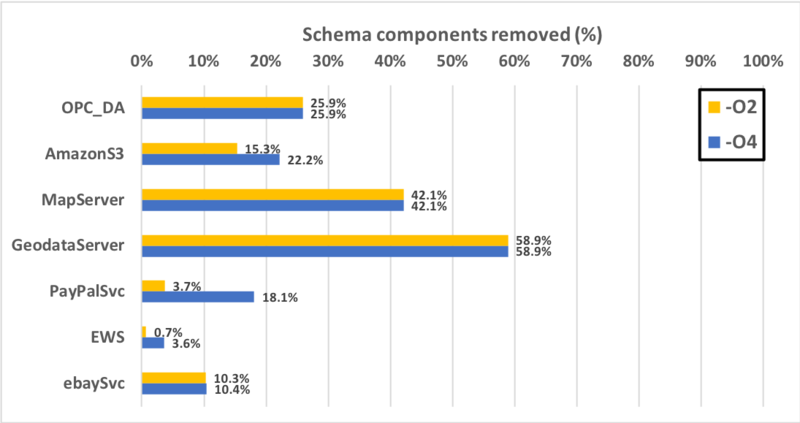 The number of schema components are the schema top-level root elements, attributes and simple/complex types. Local components and top-level element and attribute groups are not counted in the column, since these are expanded by schema normalization performed internally by wsdl2h. For example, EWS.wsdl defines four element groups and one attribute group that are not separately counted in the table. Copyright (c) 2018, Robert van Engelen, Genivia Inc. All rights reserved.